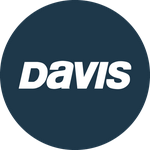 Davis Instruments Support, FAQs and Troubleshooting - Will there be any metal corrosion between the hardware bolts of the Doel-Fin and the aluminum cavitation plate? All Categories ​>​ FAQ ​>​ Marine ​>​ Will there be any metal corrosion between the hardware bolts of the Doel-Fin and the aluminum cavitation plate? We have never seen the electrolysis cause a major problem. It might if your outdrive were immersed in salt water all the time, but since most people trailer their boats or lift the outdrive in the slip, the effects are minimal.